Altair HyperView™ is a complete post-processing and visualization environment for finite element analysis, CFD and multi-body system data. 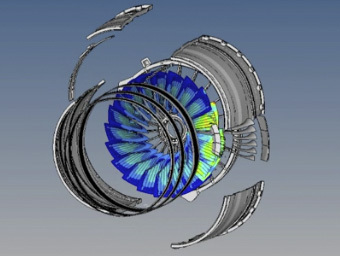 It is the new standard for speed and integration of CAE results post-processing. HyperView Introduction Video Watch this quick introduction video to see how HyperView can help you. HyperView enables you to visualize data interactively as well as capture and standardize your post-processing activities using process automation features. 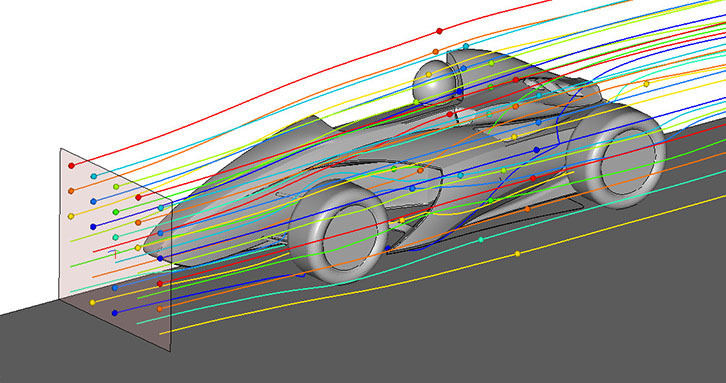 HyperView combines advanced animation and XY plotting features with window syncing to enhance results visualization. HyperView also saves 3-D animation results in Altair's compact H3D format so you can visualize and share CAE results within a 3-D web environment using HyperView Player. Repetitive evaluations can be significantly accelerated by by using result templates. Automatically generated presentations provide additional time savings. 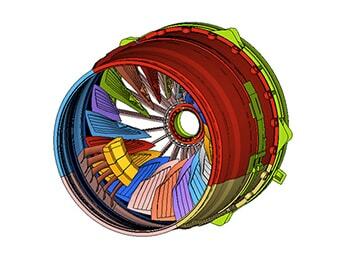 HyperView is a complete visualization environment for FEA, CFD, and multi-body system simulation data. 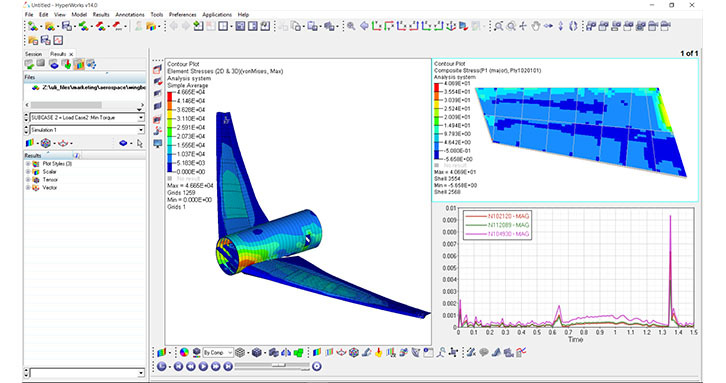 Through an extendable library of direct model and results readers, users can post-process any CAE analysis. HyperView’s animation capabilities and speed make it ideal for working with extremely large models and results files. 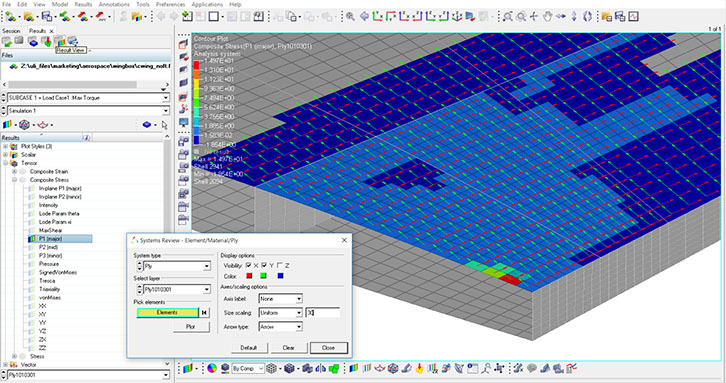 A multi-window, multi-page environment enables users to study several model configurations simultaneously. 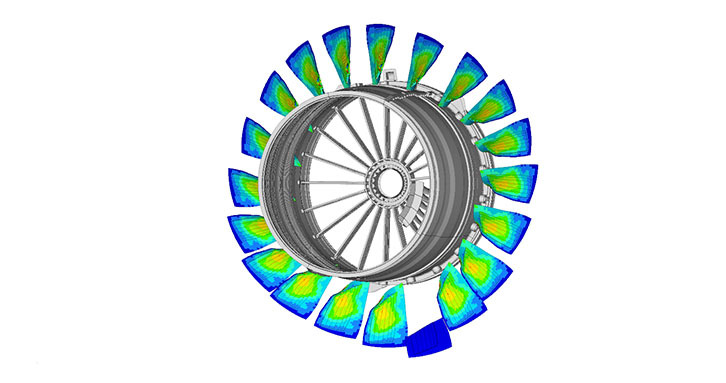 To check for correlations between two models or simulation and reality, results can be overlaid with a model or video within the same window. The Results Browser enables users to efficiently navigate through complicated models. The Results View gives quick access to all analysis results. Plot styles help to efficiently generate contour plots based on common settings. Results Math is a powerful tool to generate new results from existing simulations by using mathematical expressions or external scripting languages. Time consuming result manipulation tasks can be performed in batch using HVTrans and saved in H3D. All post-processing sessions can be stored in a session file or a report template. Session files help to reopen a complete session spanning across multiple pages and applications. Report templates similarly reopen previous sessions but can be used to generate sessions for model variations or similar simulations. 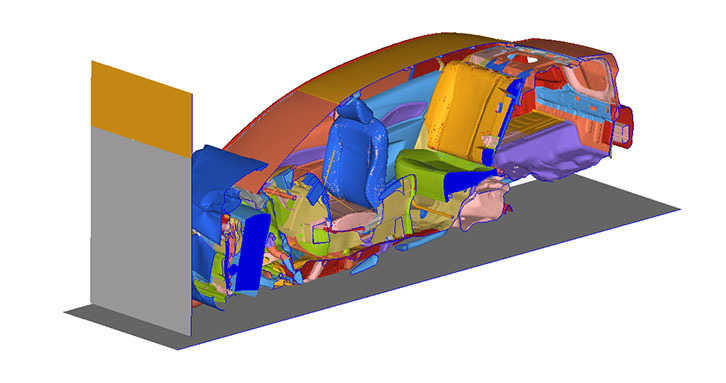 Users can explore CAE models with HyperView’s in-depth model and results interrogation tools that are based on user-defined criteria. HyperView’s synchronization capabilities help users gain insight into model integrity and behavior. 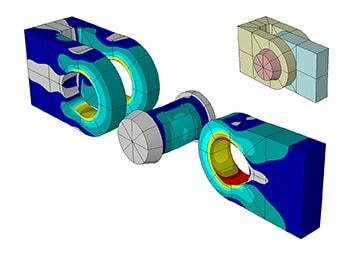 This allows users to synchronize and visualize FEA results, multi-body systems results, XY plotting (simulation or test data) and digital video data. HyperView enables users to share CAE results within a 3D web environment or Microsoft PowerPoint using Altair HyperView Player® via Altair’s compact .h3d file. Export HyperView session reports directly to HTML or PowerPoint including text, images, AVIs & .h3d files. 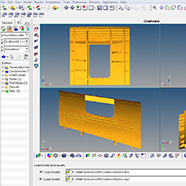 Users can create custom model views such as section cuts and exploded views by combining functionality from HyperView’s comprehensive post-processing tool and utility set. HyperView contains HyperGraph, a powerful XY plotting and data analysis package that is tightly integrated within the HyperView environment. Generate plot macros to capture and replay often-used mathematical curves. Create custom math functions and algorithms. Completely customize the GUI to cater to the user’s preferences and needs. Automate any post-processing procedure and embed logical control through the command layer and Tcl/Tk programming. 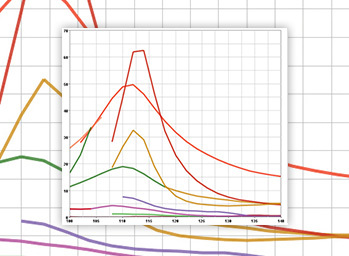 Automate the generation and presentation of standard animations, plots and tables, as well as quickly compare results and correlation studies using the Overlay Results option. HyperView delivers a complete suite of interactive animation, data plotting and digital video functionality that dramatically improves results visualization, analysis and correlation. Its synchronization capabilities enable users to explore detailed model integrity and behavior. 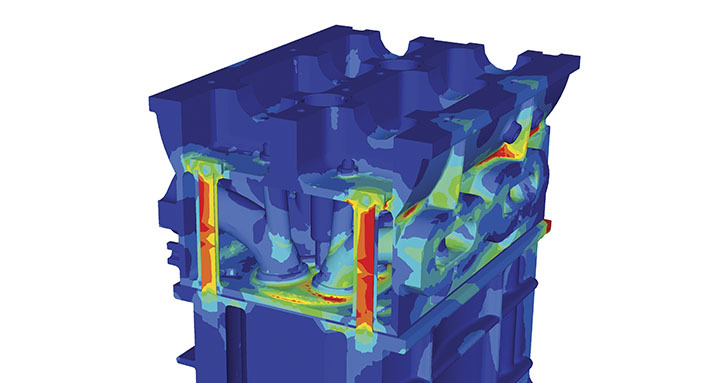 By utilizing HyperView’s extensive post-processing platform users can easily synchronize, compare and visualize FEA results, multi-body systems results, XY plotting (simulation or test data) and digital video data simultaneously in the same environment. 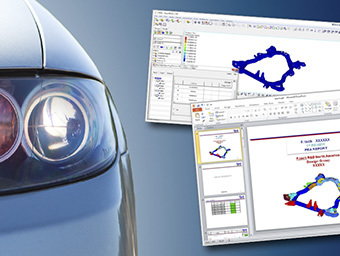 HyperView supports many popular CAE solver formats through direct readers, providing a flexible and consistent high-performance post-processing environment for animating and plotting CAE simulation results. Additional solver formats can be supported through user defined results translators, that convert results into the Altair H3D compressed binary format. HyperWorks also offers two translators, HvTrans and HgTrans, for working with any type of engineering data. HvTrans allows you to extract, translate, and compress CAE results while HgTrans enables you to convert, compress and process data files using custom math expressions that can be built from the embedded math function library. HyperView has built in functionality to directly export entire sessions into predefined PowerPoint templates. Users have detailed control of the formatting and the content that is exported. HyperView is embedding links into the Presentation so that updates with new simulation results are possible at a later stage in the project. Animations can be exported as .avi, .gif or as Altair .h3d format which allows to animate simulations directly in a PowerPoint with the free .h3d HyperView Player. Multi-window and multi-page post-processing sessions can be saved as report templates and applied to other result files, such as similar projects or model variants.